All SUNDANCE PARCEL 19 homes currently listed for sale in Buckeye as of 04/19/2019 are shown below. You can change the search criteria at any time by pressing the 'Change Search' button below. "A Beautiful well maintained home with pool/spa with an additional 36ft driveway in front of RV gate. Kitchen features granite counters and SS appliances along with island. Kitchen has view of backyard and family room. Large master bedroom, tub and shower surround redone in master bath. 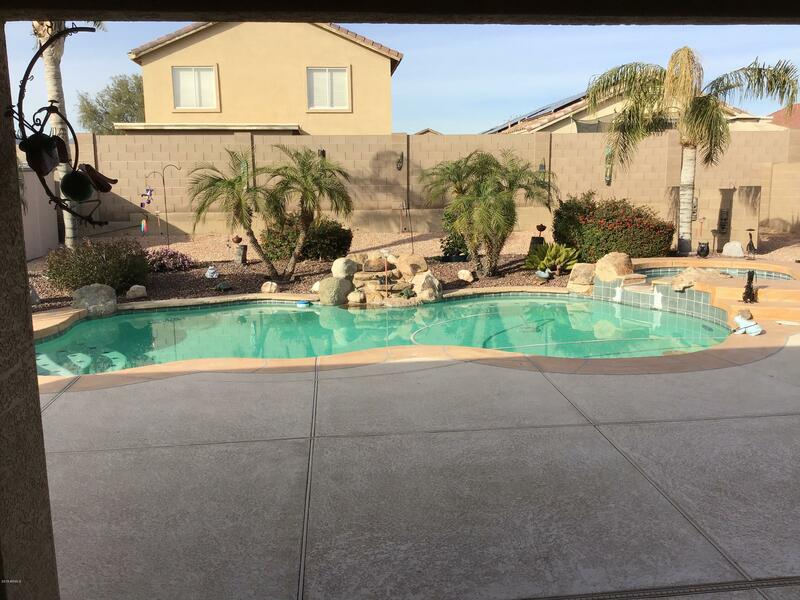 Resort like back yard with palm trees, extended patio, built in BBQ, fire pit, shed. Extended Covered patio runs entire length of house. Family room has surround sound with speakers that convey with house.Home do"